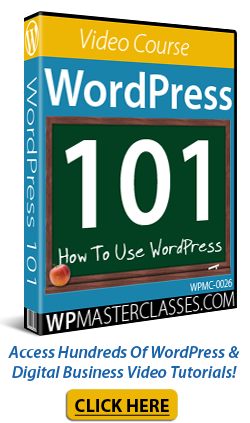 Learn how to add tags to your WordPress posts in this tutorial. 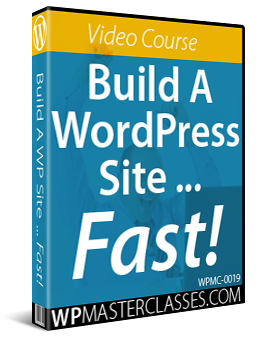 If you publish content regularly to your WordPress site or blog, you will want to make sure that users can find what they are looking for on your site quickly and easily and that search engines can find and index your pages for relevant searches and search results. This is where Tags can help you. 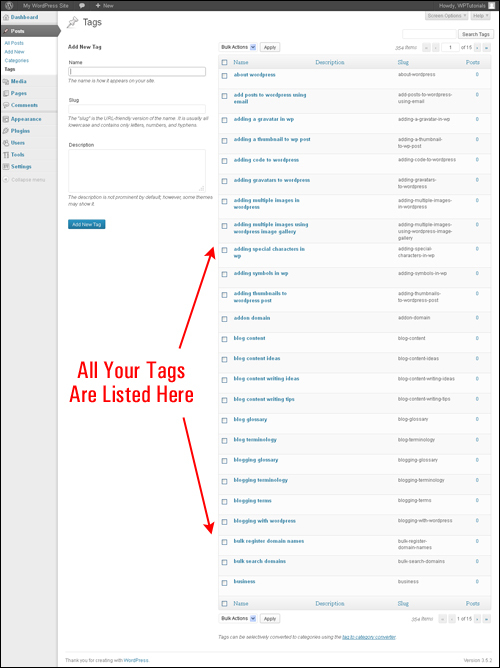 Tags can be useful for letting users find what they are looking for and for letting search engines know what your content is about. In this tutorial, you are going to learn what tags are, how tags can help WordPress users, and how to use tags in your posts to improve user experience and search engine indexing. 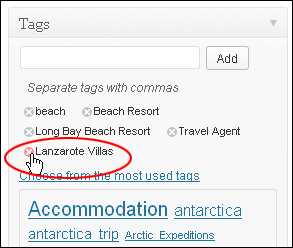 Tags – What Are They And How Can They Help You? 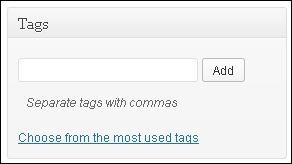 Complete the step-by-step tutorial below to learn more about using tags in your WordPress posts. 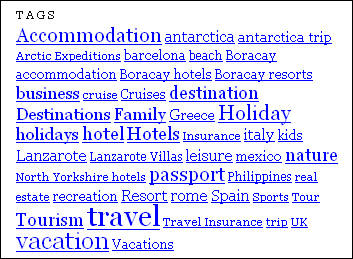 A Tag is a keyword that provides a useful reference for visitors and search engines. Tags are essentially words or short two to three-word keyword phrases that help describe what your posts and pages are really about. 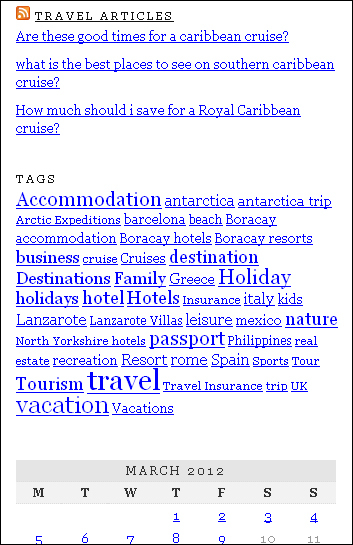 Tags that accurately represent your posts or pages can help to increase traffic. 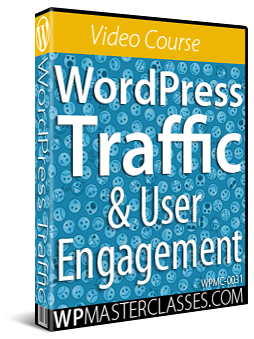 They do this by allowing search engines to better understand how relevant your website is to specific topics and by assisting visitors to navigate more easily to content-related topics on your site. 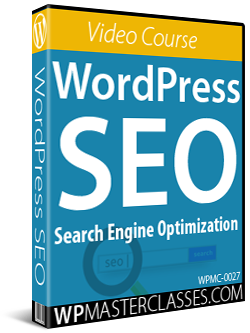 Tags also need to be used and managed correctly, however, as “over-tagging” posts and pages can dilute its effectiveness as a navigation and search engine indexing tool. Adding too many tags is the equivalent of “keyword-stuffing”, which search engines like Google not only frown upon but have long been penalizing sites for. 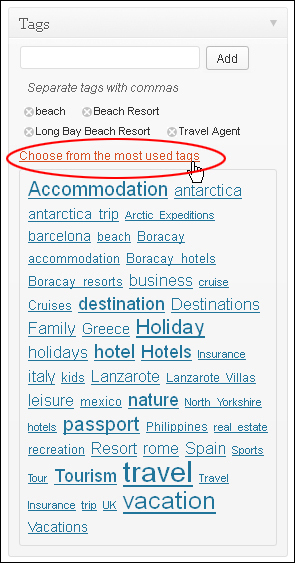 Tags should not be confused with categories. 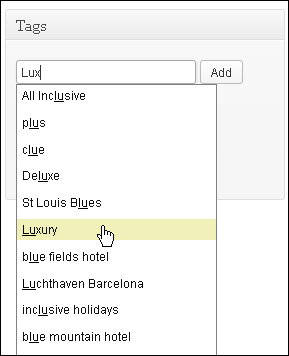 A Tag is similar to a Category but smaller in scope. 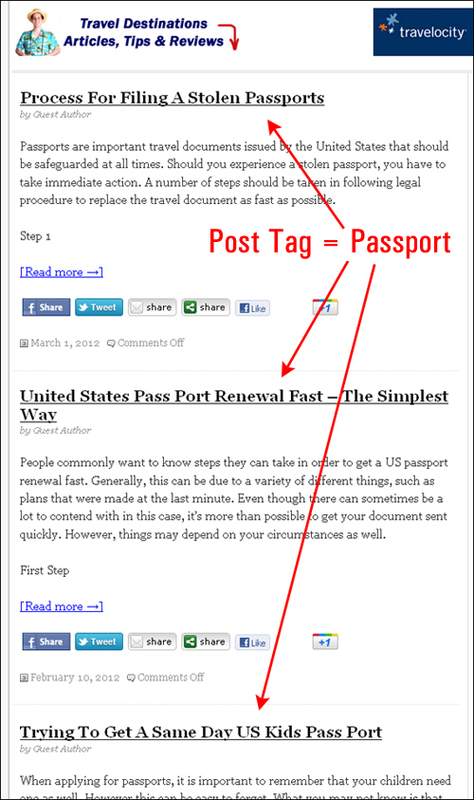 While a post may be filed under a single category, it may be referenced using several tags. A popular definition used by taxonomy experts to help people understand what tags are and how they differ from categories is to think of categories as your site’s table of contents, and tags as your site’s index words. An easier way to remember the difference is that the Categories of your posts won’t change often, but your Tags will probably change with every new Post you make. A good example of this, which is often used to help users understand the difference, is to imagine that you own a recipes website. 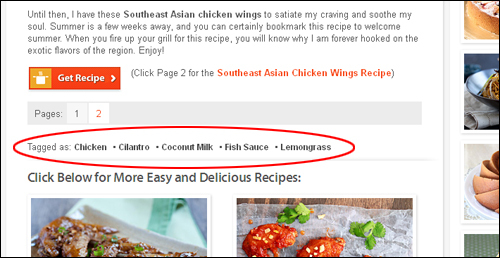 You could “categorize” your recipes by meal type (e.g. breakfast, lunch, dinner, dessert, etc) or by cuisine (e.g. Italian, Chinese, French, etc), which would help give your visitors a broad starting point for finding information on your site, and then use tags to help group your individual posts containing recipes along similar main ingredients (e.g. “chicken”, “fish”, “vegan”, “gluten-free”, etc). This way, having a “chicken” or “chicken recipe” tag on chicken-based recipes linked to all other chicken recipe posts on your site, would be very helpful if your readers come across a great chicken dinner dish recipe on your site, and are then interested in finding more chicken recipes that you have published across different meal types or cuisines. 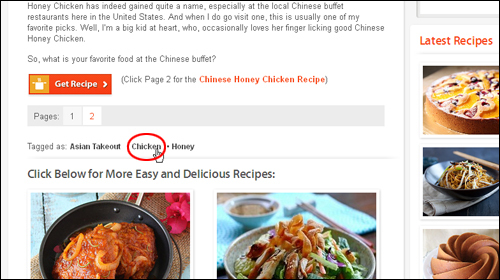 The “chicken recipe” example above shows you how tags can be a useful navigation aid, and how they can also lead to increased engagement on your site, by making it easier for your site users or blog readers to locate the exact type of content that they are interested in. Preferably, you should only use tags if you believe these will add value to your site’s navigation for users, or if you think it will help give search engines more “context” to work with when trying to determine how relevant the pages and posts of your site are to a specific topic. If you already have a good navigation menu on your site, a list of categories on your sidebar and a search box prominently displayed, using tags may not be as important to your users in terms of navigation. Keep in mind that there is no real downside to using tags if you choose your tags wisely, feel that it will benefit your users, and believe that it will have a positive impact on your search rankings. 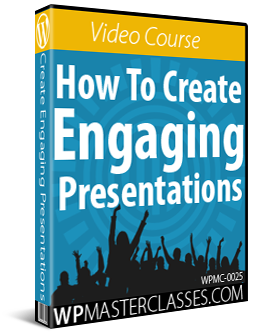 Tags should be used sparingly and efficiently. 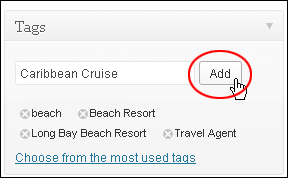 Each tag you use should be short (no more than two or three words) and highly relevant to the content in your post. Ideally, it’s recommended that you add no more than around five tags to your posts. Think about what the focus of your site is really all about, then think about the five keywords or keyword phrases that best describe what your post is about in the context of your site’s purpose and use these keywords as your tags. 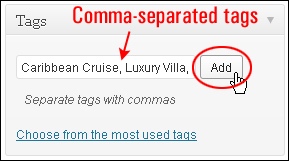 Your tags should relate directly to the subject matter addressed in your post. Many SEO experts advise not to include keywords that appear in your content, but that are not relevant enough to warrant tagging. 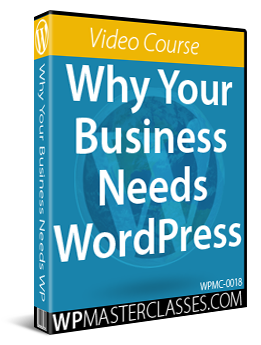 Additionally, if a tag is only used a few times throughout your entire site’s body of content, there is little point in using it, as this indicates that the term is not particularly relevant to your site or blog as a whole. Likewise, if almost all of your posts use the same tag, then that particular tag is probably too general to be of any real value to users, as clicking on it will only bring up a list of posts that will probably comprise of almost your entire site. 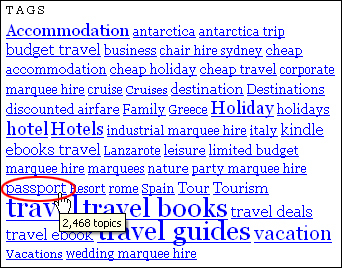 When thinking about which tags to use, put yourself in the shoes of your ideal site visitor or blog reader and ask yourself for every tag you come up with if you would be compelled to click on it after coming to end of the post if you were interested in reading more about that topic on your site. If the answer is “yes” that is probably a useful tag to include. If not, don’t bother. 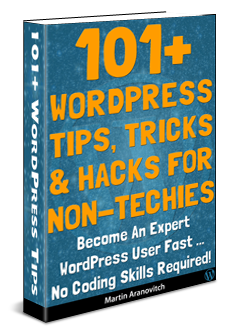 There are many WordPress plugins that can help you better manage and organize your WordPress Tags. For more details, see this tutorial. Congratulations! 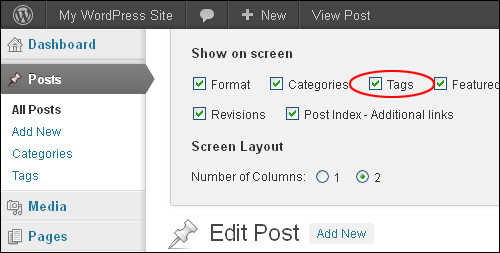 Now you know how to use post tags in WordPress. 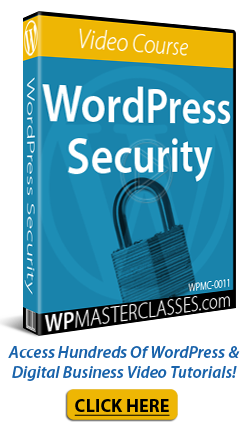 Originally published as Using WordPress Post Tags.